The big question everyone is asking this week: Who Will Win The Grand National? 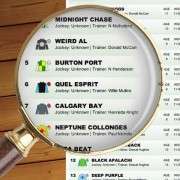 This race is notoriously difficult to pick a winner in, with 40 runners and 30 jumps almost anything can happen and frequently does. However, that's not to say you can't narrow down the field to a couple of horses that should run a big race. 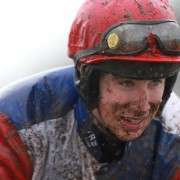 Below our very own Stephen Boardman gives you his top picks for the 2014 race. 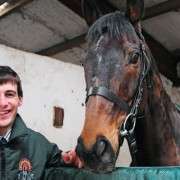 ‘The Dude', as he's known, has been on my radar for quite some time for this season's Grand National. 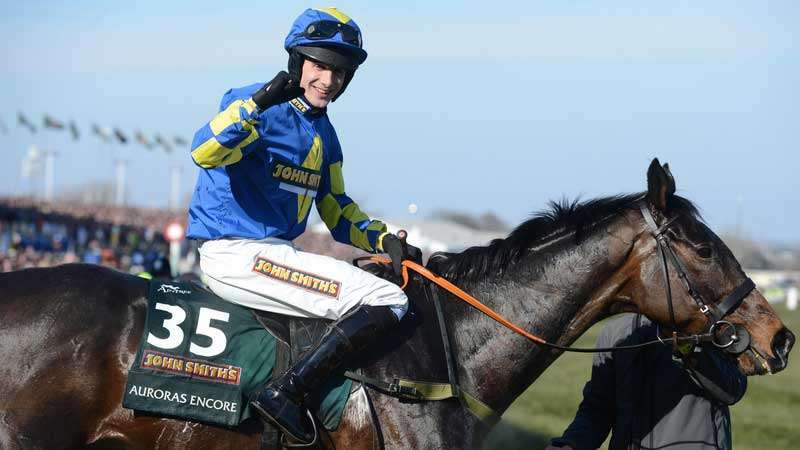 He ticks a lot of boxes in what you'd want in a horse tackling the unique test that Aintree serves up as he has proven stamina and a little bit of class. Since last January, when he won the Welsh National (same jockey will be on board again at Aintree), he's improved and he's had four lovely runs this season to put him spot on for the big day. The officials always make sure now that the ground for the National is on the easy side of good, which will be in the horse's favour having form in the book on that type of going. 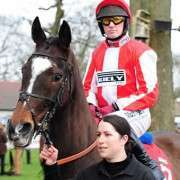 His first chase of this campaign was at Cheltenham in November where he finished 4th over three miles three and a half furlongs with recent big race winners Spring Heeled (Kim Muir) and Goulanes (Midlands National) in behind him down the field. He then defeated Theatre Guide back at Cheltenham in December, the two pulling 19 lengths clear of the rest. That horse brought a great form line with him having been 3rd in the Hennessy at Newbury on his previous start with subsequent Gold Cup winner Lord Windermere back in 8th. The Dude has been kept quiet since December, being seen out once at Doncaster in February where he was a staying on 5th at a track that was too sharp for him. He should be primed for the National with the extra distance in his favour. Considering what this horse has achieved in his career, it's amazing that he's not top weight for the National. A winner of a Gold Cup (placed in another two) and two King George's (placed in another), he is clearly a high class animal. This season hasn't gone to plan in the sense that he's struggled at the very top of the jumping game, but that's meant that as a result he's allowed to run in the National off a rating that's 22lbs below his very best from 2012 and 12lbs below his Gold Cup 3rd last season. That alone must give him a huge chance. His latest win at Kelso in a lower grade than he's used to, will have given him a lovely confidence boost heading over to Aintree. 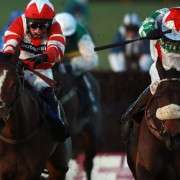 The modifications to the fences in the National have convinced connections to take there chance and in Sam Waley-Cohen the horse has a jockey with the best record over the National fences of anyone competing on the day. 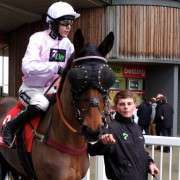 Long Run missed Cheltenham this year to wait for Aintree and that could prove to be a shrewd move. This horse has been the subject of plenty of support in the betting market over the last month or so and it's easy to see why. Third in last years race, he's also been runner up in a Welsh National (to Monbeg Dude) and won the four mile race at the Cheltenham Festival. Stamina is his forte and he's been trained for the race once again by his astute handler Rebecca Curtis. Strangely he's never won a handicap chase, with all three of his chase wins coming in novice contests. He gets to race this year in the National from a handicap rating 2lbs lower than he raced off last year, which is in his favour. However, with his knack for always finding at least one too good since his Cheltenham win two years ago he's a risky win bet, especially at the current prices. The way he attacked the fences last year though shows his liking for the place and he must be nailed on for a top four finish, barring any mishaps. He should be a placepot punters pal on the day. From further down both the race card and the betting market, The Package makes appeal as a lively each way selection. He's been placed three times in the same race at the Cheltenham Festival and came a respectable 4th in the Hennessy of 2012 (Teaforthree behind in 6th). Quietly fancied for last years race by some, injury got the better of him and he had to miss it. He's clearly had his fair share of problems, highlighted by the fact that the National this time around will be only his fourth start since that aforementioned Hennessy run in December 2012. The David Pipe yard have worked wonders on him to get him back once more and his comeback run at Cheltenham in March, where he came 3rd, was highly encouraging as he stayed on at the end of the three mile trip. He's available at big prices and could easily reward each way support. One of the key factors to look for when narrowing down your selections is a proven record in either high graded races (Gold Cups, Hennessys) or top races over marathon trips (any ‘National' or 3m 4f plus chases). That will give you a decent starting point. Winners usually come from an age range of between 9 to 11 and have at least ten runs in chases to their name, this shows that experience is also a key factor to winning the National. It can sometimes prove fruitful to side with horses that have run well over the unique fences previously as that takes away the question mark of them handling the course. This year that would bring in to the equation a runner like Chance Du Roy, who won the Becher Chase at Aintree in December. However you make your choices, the race remains an exciting spectacle and for everyone having a bet it's a thrilling ten minute ride.